A cooling herb, helps with exhaustion and low spirits. Great for menopausal women who are overworked and totally exhausted. Borage has a hollow stem with bristly hairs on its surface. It reaches about 75-90 cm or about 3 feet in height. 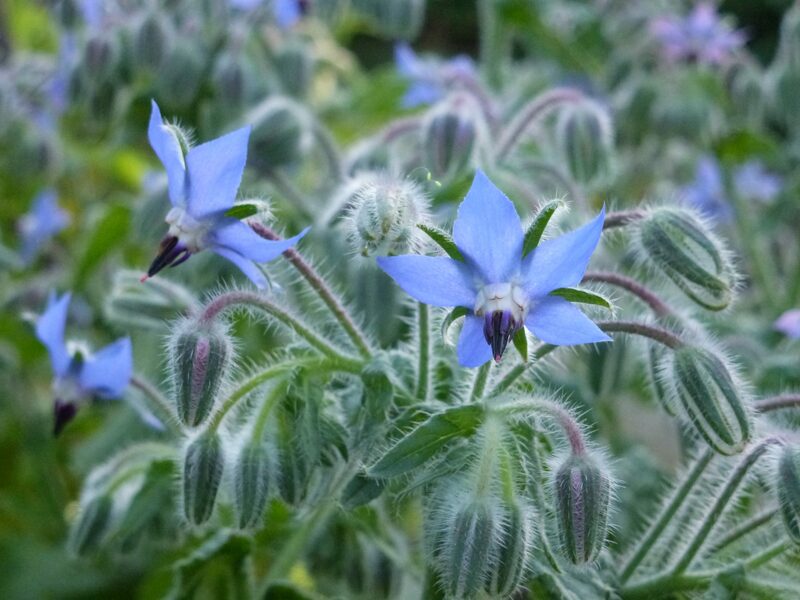 Borage oil is derived by cold-pressing the seeds of the flower. However, unlike other herbs that can be cold or heat-infused with a carrier oil, such as lavender and calendula oils. Infusing borage may not be practical and may not yield the same amount of nutrients. Look for a cold-pressed product, as heat during processing may damage or break down the fatty acids found in the oil. Heavy heart, depression, insomnia, dizziness, exhaustion, sore head tired eyes, colds bronchitis, congestion. Pleurisy, fever, indigestion, heart palpitation from hyperthyroidism, menopausal hot flashes, skin rash, fever, pox. Borage should be fresh for use in salads and cooking. Always look for fresh herb leaves with stout succulent stem. The leaves only stay fresh for a few hours. Avoid dried leaves because they are without flavor. The leaves, flower, and oil from the plant find use in traditional medicine. The oil contains gamma-linolenic acid (GLA) which is an omega-6 fatty acid. 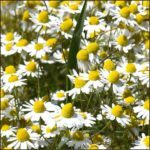 It has high levels of vitamin A and vitamin C.
Flowers from June to October. The dried herb must not be stored for more than a year since it quickly loses its medicinal effect.